There are as many time-honoured traditions at this time of year as there are grains of sand on a beach, but there’s one we have a special soft spot for: the annual Christmas tree collection in a car wildly unsuited to the task. 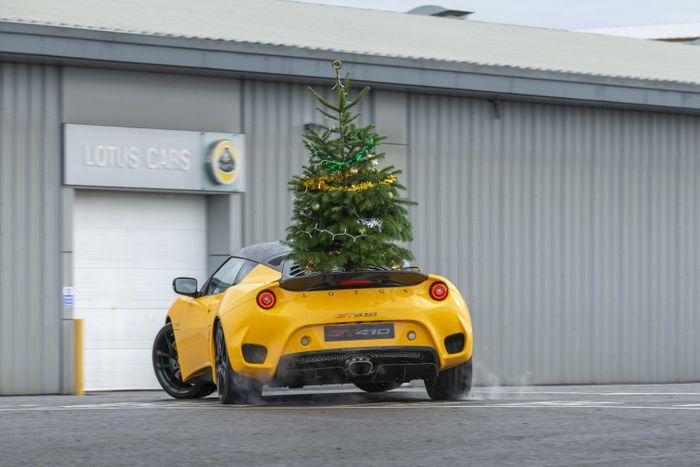 Lotus has created a tribute to all those sports car owners who could hire a van to get their tree home, but would rather be driving their pride and joy. These innovators find all sorts of ways to strap/wedge/squeeze/squash that fresh pine into/onto their cars in any old way that will get them home without being arrested. 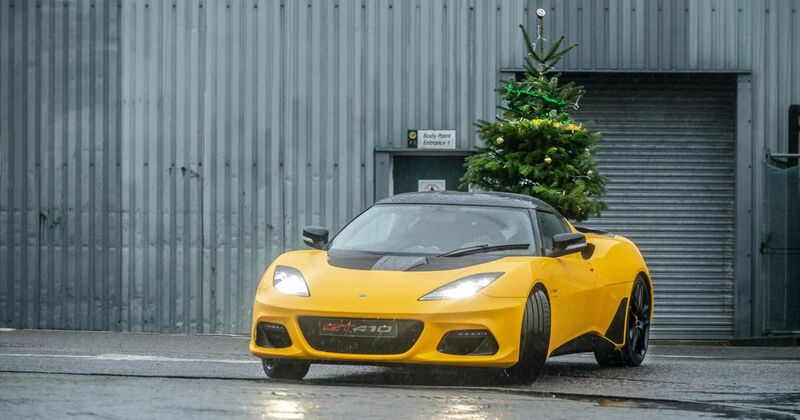 In Lotus’ nod to this annual pilgrimage, a yellow Evora Sport 410 with a Christmas tree fixed to the back end races around the firm’s (closed) Hethel factory site, drifting just about everywhere except through the factory building itself, where it takes a respectful amount of time to cruise through. That’ll be the, ahem, ‘elf and safety rules. There’s some lovely drift work in the two-minute film and the soundtrack is pretty mega, too. There’s even a guest appearance from a certain old white Esprit, which is a nice touch. Enjoy, and turn the volume up if you can!